Home > Blogs > Dental Crown or Filling: Which Is Right For You? Dental Crown or Filling: Which Is Right For You? We see multiple patients every week (if not every day) who need dental crowns or dental fillings. Both are amazing services in their own way, and each can restore your smile. So how do you know which one is right for you? The only way to be certain is to talk to a dentist, like our own Dr. Doug Forbes. You can call 803-272-4162 to schedule an appointment. At Total Dental Care of South Carolina, we have helped thousands of patients with fillings and crowns. In the meantime, we want to share some of the reasons you or someone you love could benefit from either of these services at our Columbia, SC office. Most people realize the getting a filling is common after someone has developed a cavity. For many years, the best materials for fillings were metal. Gold and amalgam (a blend of mercury and other metals) were the most common options for fillings for a long, long time. Both did the things every filling must do. They restored the function of a decayed tooth. They also provided protection, reducing the risk of another cavity forming in that same tooth. Metal fillings do both of these things well while they last. Over time, however, fillings wear down, get chipped, cracked, and can even separate from teeth and fall out. For this reason, it is necessary to replace fillings from time to time. As effective as metal fillings can be, there is one obvious drawback. Metal does not look like part of your tooth. In the world of modern restorative dentistry, you shouldn’t have to decide between a tooth that looks natural and a tooth that functions likes it should. By coming to Total Dental Care of South Carolina, you won’t have to make that decision. Instead, you can get a tooth-colored dental filling. From a functional standpoint, this protects your tooth against decay, and it allows you to eat again without tooth sensitivity. The filling material can be shaded and polished to blend in with your tooth. As a result, your tooth can look as good as it did before you had your cavity. Plus, no one has to know that you had a cavity in the first place. With a tooth-colored filling, your smile can look natural once again. Before we discuss dental crowns, we want to briefly mention that our filing material also can be used for dental bonding. This is a great way to repair teeth that have small chips or cracks. It also can be used for cosmetic purposes, such as closing gaps between teeth. And once again, the material can be shaded and polished so other people who see it will assume it is a natural part of your teeth. Dental crowns have a wide range of uses. These include fixing broken and cracked teeth, restoring infected teeth, and rebuilding small or worn-down teeth, so they fit in with the rest of your smile. Crowns also can be used to fix decayed teeth. There are two reasons a crown may be a better option than a filling. First, sometimes people don’t seek treatment until a cavity has grown relatively large. When this happens, the tooth may be too weak for a filling to provide much benefit. In that situation, a dental crown can be used make the tooth stronger. As with our tooth-colored fillings, our porcelain crowns will look like part of your real smile. The second reason to get a crown is when you’ve already replaced your filling multiple times. Each time you get a new filling, a little more of your tooth is removed as part of the preparation. If you have done this multiple times already, you may be better off getting a crown. Crowns can last for decades with proper care. The process for getting crowns for many situations is pretty similar. The damaged tooth is reshaped to remove the parts that are weaker and to use the healthy portion to create a support for the crown. When the tooth is ready, we can bond the crown in place. Then your tooth and your smile can look whole again. 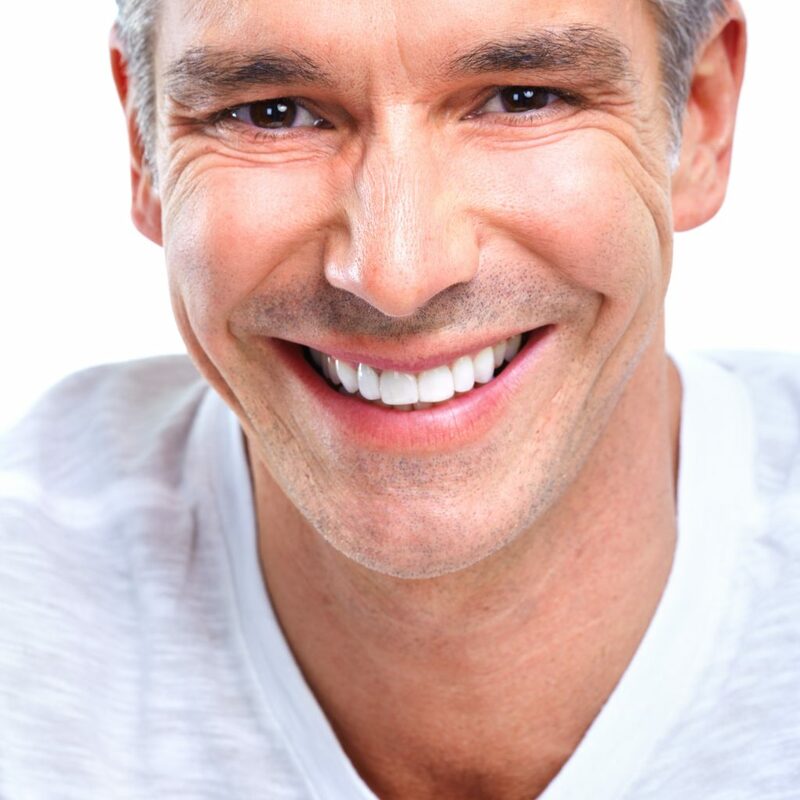 Crowns also can be used for many other things, not the least of which is restoring a tooth after a root canal or replacing a missing tooth by being paired with a dental implant. How Soon Can You Fix Your Tooth? We are happy to say that whether you need a dental filling or a crown, you can repair your smile in a single visit to Total Dental Care of South Carolina. With the modern training and tools at our office, you can come in with a cavity and leave with a tooth that looks complete and whole. Same-day dental crowns are not something that every dentist office can do, however. We can because we use CEREC crowns at our office. With the CEREC system, we can make a digital scan of your mouth. Using computer software, we can design the shape of your crown. That design can be shared with our in-office milling machine, which reshapes a porcelain cube to form your crown. That crown can be shaded and placed on your tooth before you leave. This means you won’t have to wear a temporary crown for weeks while a dental lab makes your permanent one. It also means you won’t have to make a second appointment when your real crown is completed. How Should You Improve Your Smile? Instead of thinking of your situation as “dental crown vs. filling,” know that both can be effective in their own ways. What you need to do is talk to someone like Dr. Forbes who can answer your questions about each service. Then, you can make an informed decision about whether a filling or a dental crown is the right option for you. To schedule a consultation, start by contacting us online or by calling 803-272-4162.